In 2002, Ian and Genevieve (Jenny) Giddy purchased a 60 hectare (148 acre) cattle farm bordering Chirripó National Park in southern Costa Rica. Subsequently, the reserve was extended with the purchase of six more small cattle farms for a total of about 283 hectares (700 acres). The property includes approximately 28 hectares (70 acres) of riparian and high-altitude montane primary forest, which supports an enormous diversity of tropical trees, birds, insects and other flora and fauna. Cloudforest foliage and epiphytes have a unique capacity to capture moisture from the air, allowing moisture-loving organisms to survive even during the dry season. Through their impact on the air, water and soil quality, flood control, climate patterns, and numerous known and unknown plant and animal species, cloudforests affect life surrounding them and life around the planet. Roger Gush, former Project Manager, looks over pasture land in the early days of the project. Cloudbridge Nature Reserve is located along the western edge of the Chirripó National Park (NP). 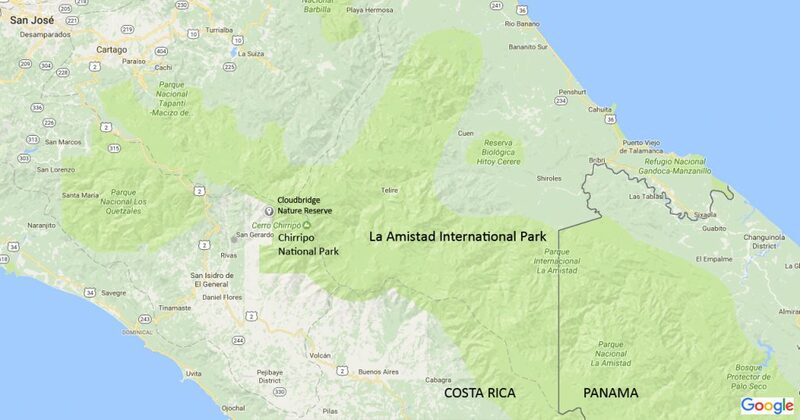 Chirripó NP is part of the largest protected area in Central America, which includes La Amistad International Park among others, an UNESCO World Heritage Site. Cloudbridge further extends the forests of these parks by connecting the Chirripó NP to the east with other reserves and forested areas to the west. The reserve runs down the valleys of the Chirripó Pacifico and Uran Rivers, forming a biological corridor for animals like the Quetzal, Tapir, Puma, Jaguar and many more! Reforest areas of degraded agricultural land and nurture those areas back to a climax forest composition. Educate an international and local audience of students, visitors and volunteers on environmental and biological topics through student focused programs, lectures, displays, and tours. 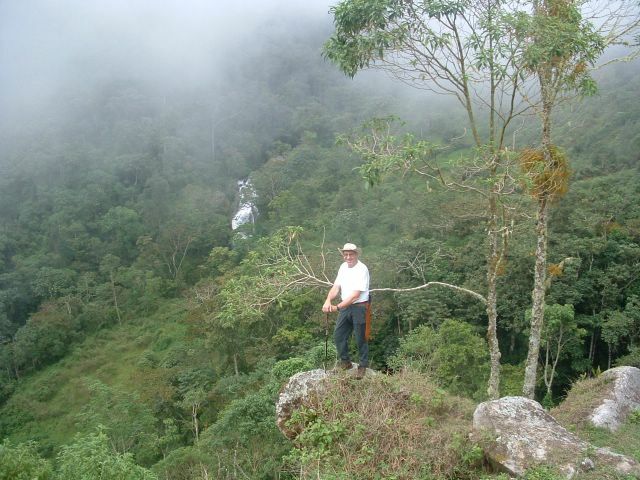 Research the cloud forest ecosystems, flora, fauna, and the succession of reforestation by conducting, facilitating, and supporting studies from scientists around the globe. Friends from local rainforest renewal project visit to see the progress of the reforestation and share knowledge. From its beginnings as a reforestation project, Cloudbridge has grown along with its forests to expand and develop projects on not just reforestation, but conservation, education and research as well. So far, the restoration project has been a great success. Within the reserve, cattle grazing, and its consequent denuding and erosive effects on the land, have been halted. Through either planting or natural regeneration, tree cover has been re-established over almost the entire reserve. This allows us to focus on the next phase of regeneration, planting climax species in the understory that will slowly take over from the pioneer species over the next several decades, and, eventually, return the reserve to a climax forest composition. We welcome and encourage people to come and visit. We are proud of how the hardwork and dedication of our owners, staff and volunteers have turned the reserve into a success. It is one of our goals to share our experiences with others, to teach, encourage and inspire our visitors and volunteers to do the same in their own communities. Only by experiencing it, can people truly gain an understanding how precious our diminishing tropical forests are. 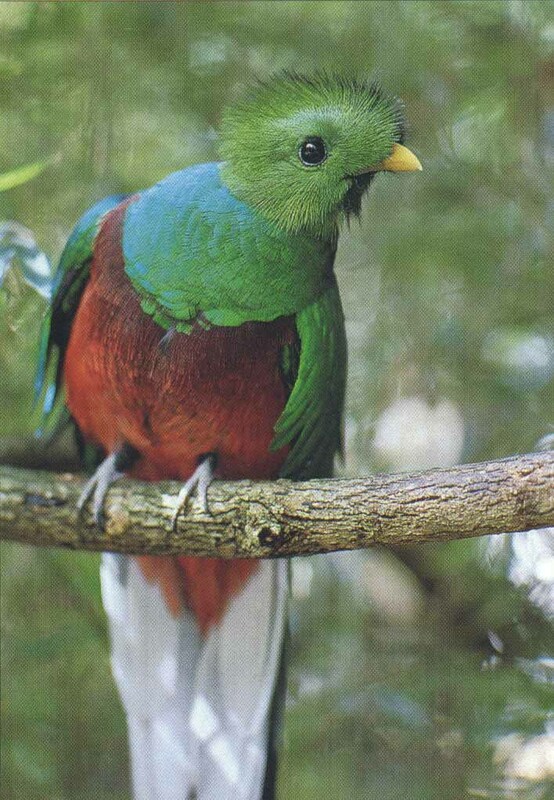 The Resplendent Quetzal in one of our reforested areas. Our hiking trails allow day visitors and guests staying in our rental cabins to explore and discover the wonders of the cloudforest on their own. We also provide interpretive tours, tree planting days, and a variety of educational programs for those looking to learn more about the ecology and history of the reserve during their visit. We offer opportunities for volunteers and research interns to contribute to the success of the reserve and make a real difference in cloudforest conservation. Coming from all over the world and a wide-variety of backgrounds, our volunteer workers and researchers are the life-blood of Cloudbridge. Whether it is by helping with the reforestation work, maintaining the trails, conducting monitoring or inventory studies, or greeting visitors at the Welcome Centre, Cloudbridge would not be possible without their dedication and enthusiasm. 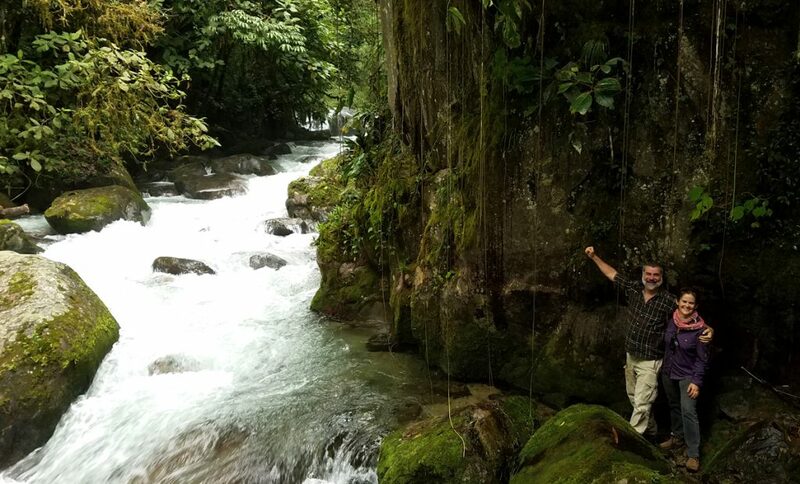 We also encourage and support independent scientific research on reforestation, cloudforest ecosystems, and their interactions with the local community. Cloudbridge presents a means to study the science behind restoration of cloudforest ecosystems as well an opportunity to learn more about an understudied area of Costa Rica. Contributing to the wider scientific knowledge on this sensitive and important ecosystem is a way for the reserve to impact conservation on a wider scale.